MARIAUMINSKI/GLOUCESTER DAILY TIMES Rev. 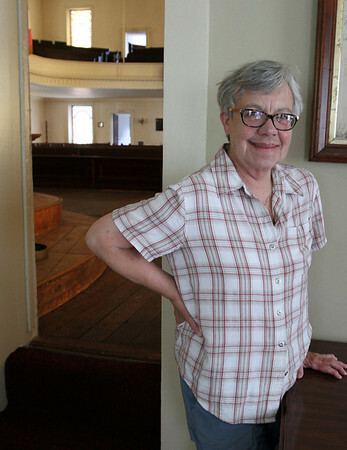 Wendy Fitting stands in the Historical Room off of the sanctuary at the Unitarian Universalists Church in Gloucester. This sunday is Rev. Wendy's last in the pulpit after 24 years at the church.